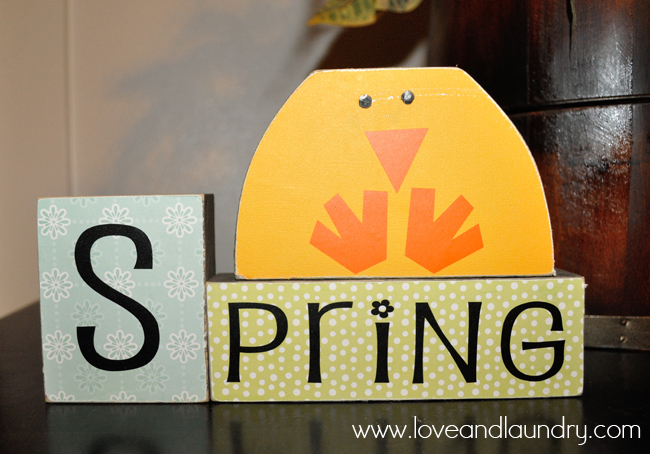 I did this fun seasonal craft for my March contributor post over at My Favorite Finds. Just in case you missed it, I thought I would re-post it over here! I bought a kit from here a few months ago and I’m finally getting it put together. I think it uses pretty simple wood pieces. You could find something similar at your local craft store. To decorate, I used scrapbook paper, mod podge, vinyl, and little nails for the eyes. 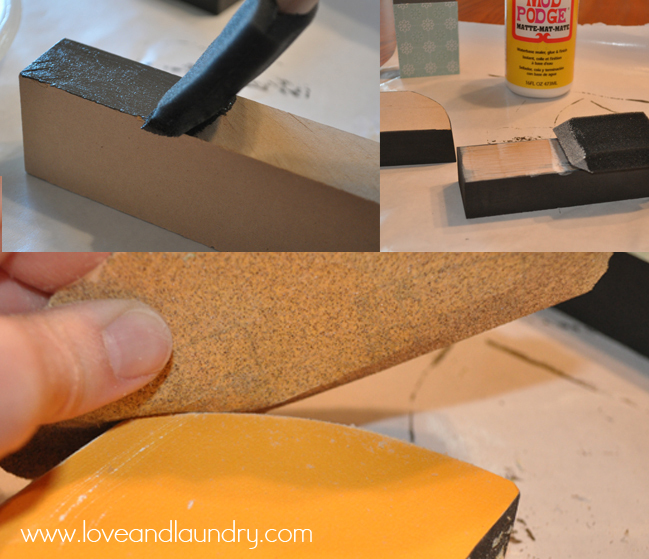 To give it a worn out chic look, I roughed up the edges with sand paper when I was finished. There’s no sense in hauling out new decorations every season! 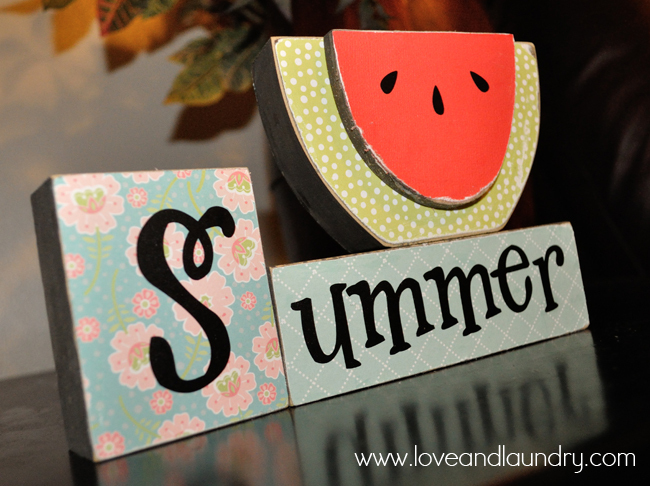 Just flip the spring blocks around to show the summer side! So cool Shatzi! love it :D.
I’d be thrilled if you can join my Link Party This week, I’m so excited about it!!! So cute. I especially love that you can use it for two seasons. Thanks for sharing. this is sooo cute! i have to try something like this to add a little character to our house! Oh my gosh, this is ADORABLE!!! I love it! Good job, Shatzi! !